The movement of consumers towards snacking and healthy foods is driving companies to innovate and come up with new products. This is also the case for companies that have been around for generations, like Del Monte Foods. Del Monte has been introducing new products in different sections of stores to better engage with consumers seeking out convenient and healthy products. "Consumers are looking for more innovative, healthy and sustainable food choices," said Bibie Wu, Chief Marketing Officer at Del Monte Foods. "With our continued focus on unsurpassed quality, we’ve shifted the balance of our new product efforts to bringing our fruit and vegetable goodness into perimeter and frozen section of stores which we’ve identified as fast-growing categories." "Consumers continue to seek high quality, easily accessible, and nutritious foods with minimal ingredients, and our new product offerings reflect these preferences," she continued. 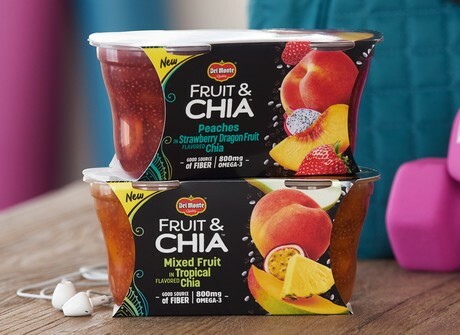 "For instance, Del Monte® Fruit & Chia™ is a first-for-the-category product featuring a serving of fruit, 800mg of omega-3s and essential nutrients. 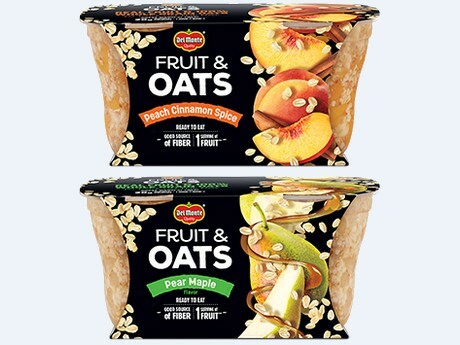 We are also seeing positive results with our Del Monte® Fruit & Oats™, our latest breakfast on-the-go meal in three flavors. It’s the first ready-to-eat oatmeal with a full serving of fruit. We also recently upgraded our Del Monte Fruit Cup® Snacks with 100 percent juice and 25 percent less sugar, as well as introduced Fruit Naturals® Red Grapefruit in 20-ounce Citrus Bowls." Apart from the new convenient and healthy food options, Wu also noted that there is an increased demand for vegetables with high protein and fiber content, especially among Millennials. "Del Monte is seeing interest in more value-added varieties," she said. "Therefore, we launched Del Monte Veg & Bean Blends last year which meets the demand for protein-rich vegetables and beans with high fiber." For fruits, berries and tropical fruits are currently on trend. "On the fruit business, we are bringing berries and tropical fruits like strawberries, blueberries, mangoes and pineapples, particularly for our on-the-go snacking options that we will be bringing to the refrigerated produce section soon. One of the new products we are introducing is Del Monte® Fruit Crunch Parfait (Strawberry, Blueberry, Mango, Pineapple, Coconut) and Fruit Naturals® HPP Citrus Bowls (Red Grapefruit, Citrus Salad) in the perimeter of the store." When it comes to keeping up with food trends, companies are also paying more attention to aspects of their business that are not directly food-related. Reports often suggest that consumers are also looking at how companies source their produce. As an example, Wu spoke about Del Monte's work to be more transparent and build awareness about what goes in their products. "While the fruits, vegetables and tomatoes in Del Monte products have always been non-GMO, we partnered with our supplier to transition most of our minor ingredients to non-GMO," she explained. "We are also the first consumer-facing manufacturer to work with the USDA for their process verified program for non-GMO certification of our corn products." According to Wu, snacking now accounts for more than half of the average American's eating occasions, with Millennials again the driving force. Consequently, Del Monte has seen an opportunity to offer what they call 'smeals' or small meals. In step with healthy options, the company is launching another new line. "An exciting platform for us is a new sub-brand, Del Monte® Veggieful™," Wu shared. "It’s an innovative way to offer vegetables in a more value-added snack and “smeals” product format. These new products will include Del Monte® Veggieful™ frozen bites (Broccoli & Cheddar, Spinach & Feta, Veggie Medley & Mozzarella), along with Contadina® Pizzettas™ (Four Cheese, Margherita, and Garden Vegetables)." Del Monte has recently revamped its sustainability strategy and reduced its carbon footprint in recent years. "Anchored to our Growers of Good™ brand purpose of nurturing Earth’s goodness today to grow a healthier and more hopeful tomorrow, our sustainability strategy is now focused on four vital pillars," said Robin Connell, Senior Manager, Sustainability & Communications at Del Monte Foods. "These pillars are: food chain transparency (supply chain), caring for Earth’s goodness (conservation and efficient natural resource management), nurturing people (diversity programs and community outreach), and investing in the future of food (seed development and agronomy research)." She continued, "We’ve made significant progress across our company, reducing our carbon footprint 18 percent from FY2016 to FY2017, partnering with Sustainable Packaging Coalition and How2Recycle to research more sustainable packaging, establishing turnkey programs with Feeding America and American Red Cross to mobilize quickly in delivering food to regions impacted by natural disasters, utilizing electronic tracking to be able to track the source of all ingredients in less than 4 hours, and investing in our plant breeding program – for instance, we grow the same volume of finished green beans today on half as many acres as we did in 1966, significantly reducing the need for energy, water, fertilizer and pest control." "We are proud of our 130-year heritage and as we look to the future, we are working to create a sustainable business that will last for the next century."